A New Jersey Supreme Court ruling has provided much-needed guidance on determining the issues to be considered when a spouse in a divorce case requests alimony. 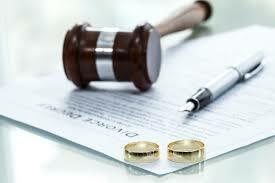 In Elizabeth Gnall v. James Gnall (A-52-13) (073321), the state’s high court ruled that the length of a marriage is not the sole factor in deciding whether a spouse should get permanent alimony or limited-duration alimony. The Gnalls were married for almost 15 years – with three children and substantial assets – when Elizabeth, who left her job as a computer programmer to care for their children, filed for divorce. James, the sole wage earner, earned more than $1 million a year as CFO of Deutsche Bank’s America Financial Group. Following an initial trial court decision awarding Elizabeth limited duration alimony of $18,000 per month for 11 years, Elizabeth appealed. She requested permanent alimony, citing the length of the marriage and her diminished employability. The Appellate Division reversed the trial court, ruling that a 15-year marriage is not short term and that an award of permanent alimony should be considered. But the State Supreme Court said both lower courts got it wrong because they fixated on the length of the marriage. Instead, said the Supreme Court justices, NJ law (N.J.S.A 2A:34-23) requires that all thirteen statutory factors must be considered and given due weight.